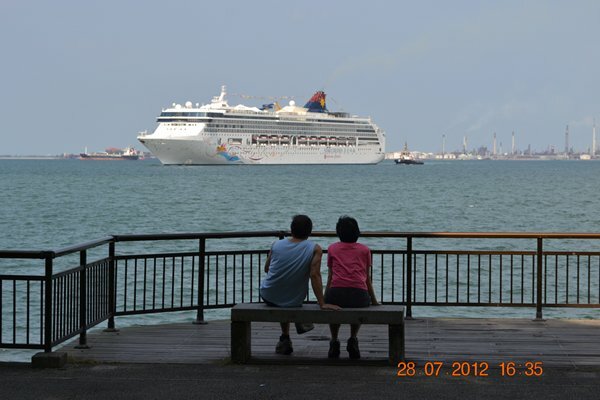 Until recently, the Labrador Nature Reserve had been a well kept secret, partly due to the fact that it was not easily accessible with public transport. Even taxi drivers were unsure about the location in two instances I encountered. But since last year, with the opening of the MRT circle line, the train station is only a few hundred metres away and the park is much more crowded. There are good reasons why. 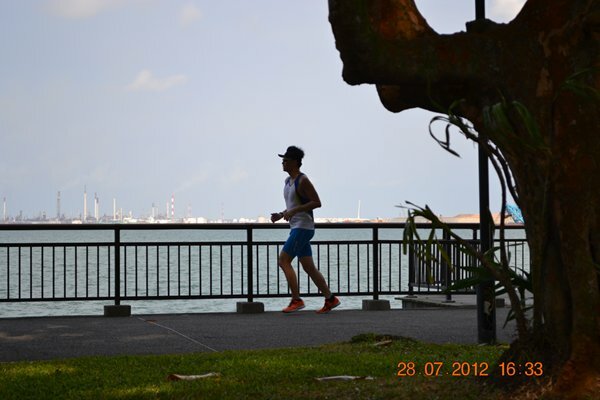 For joggers, it offers the unique possibility to run one part of the track along the breezy sea, with the sounds of the waves breaking at the shore. This part of the track lies the foot of a rocky sea cliff. 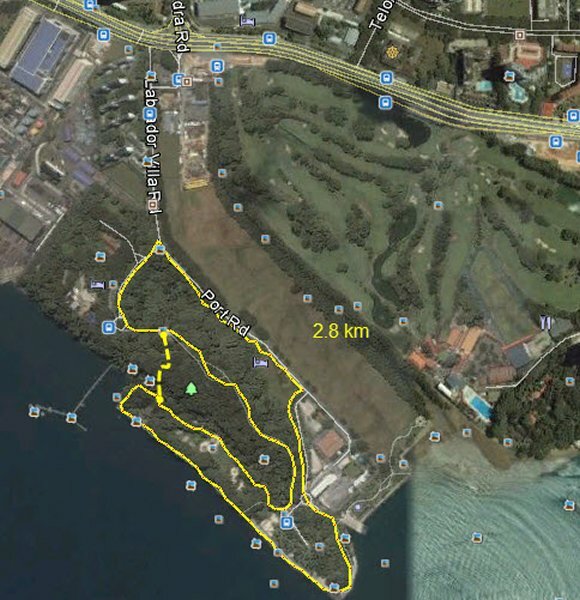 And you can complete the other part of the run in the thick, green jungle. The scenery here is truly spectacular. 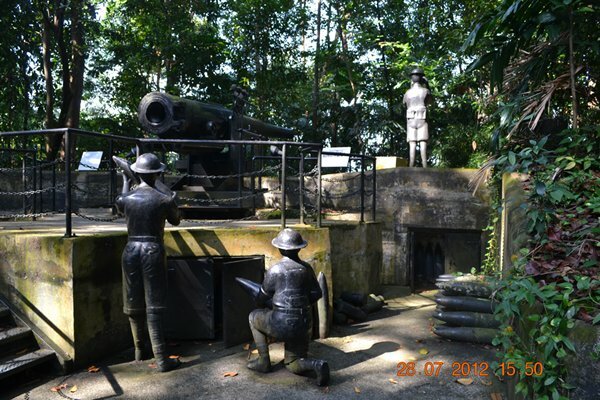 Within the jungle, you will find some World War II relics scattered around the forest, such as old bunkers, tunnels and even a few defunct coastal defence batteries. By public transport: The closest MRT station is Labrador, from there the reserve is just a stone throw away. On top of that, there is even a bus going straight to the reserve entrance, but it is really not far to walk/run and the bus is not very frequent anyway. 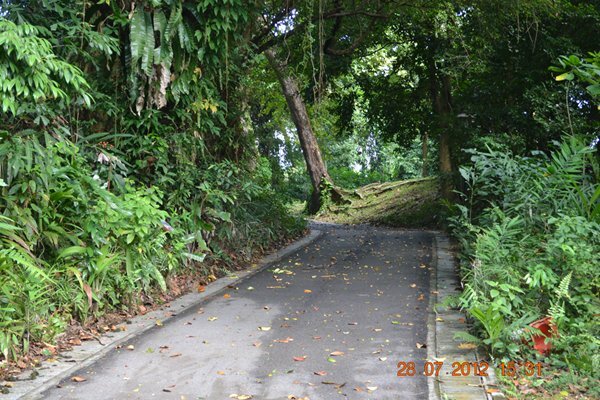 By car: exit Alexandra road at the AYE or via West Coast Highway. The park has a relatively big dedicated parking lot. The "big" loop is a bit less then 3km. When entering the park, follow Port Road until the park entrance. From there, just stick to the path on the shore line. 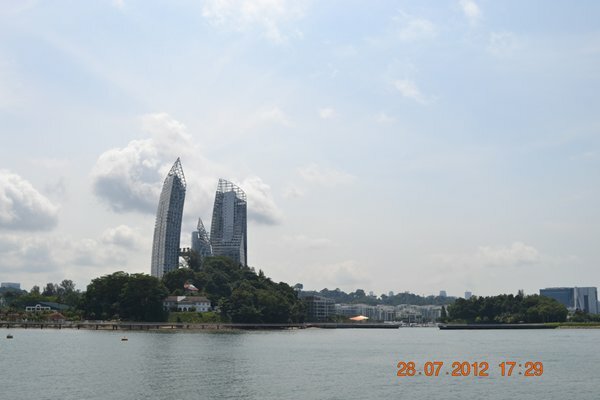 You will pass by the Reflections at Keppel Bay and in front of Sentosa island. Then the track will go straight to the former jetty which is now closed. From there you have two choices: either head back to the jungle entrance along the foot of the cliff (solid yellow line) or climb up the stairs for a shortcut (dashed yellow line). Enter the jungle and just follow the main (asphalted) track or one of the smaller dirt tracks. It is a steep climb at times. The attached KML will make things easier. Water point: There are facilities in the park, water fountain and wash room (no showers).